If there’s one thing I’ve mastered after logging in thousands of flights (and scattered items across the world), it’s the art of packing minimally. Considerably by blogging standards, where rather than schlepping three suitcases across the continent for a four day press trip, I’ve learned to travel light by only taking what’s essential. By minimizing your baggage you maximize your mobility, and mobility grants you the ultimate luxury of time to soak in new experiences. Instead of stressing out and feeling unprepared before a big flight the night before, planning ahead and streamlining your options ensures being able to relax before your vacation even starts. 1. Visualize your wardrobe before your trip. Prepare your suitcase a week or two before departure. Start by packing core pieces (like blue jeans, sneakers and a swimsuit) along with a toiletry bag. 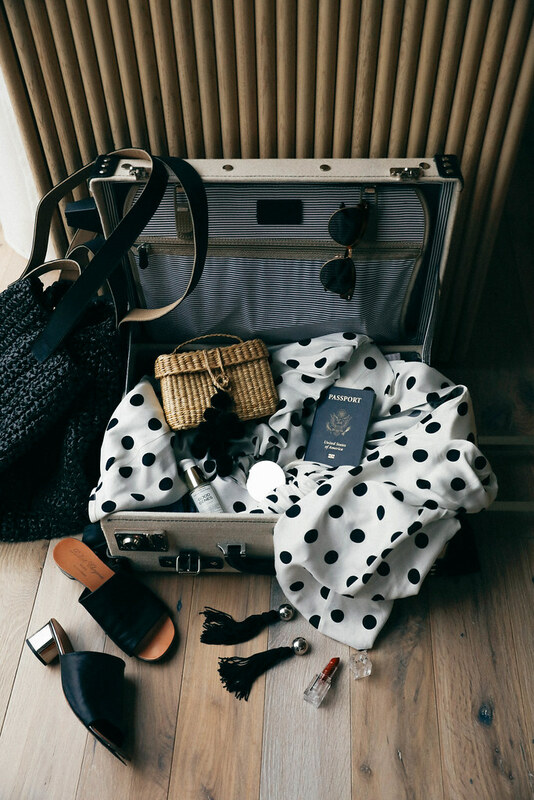 As the week goes on, you’ll gravitate towards adding or removing pieces from your suitcase, whether that’s an evening dress reserved for a special occasion, or a pair of high heels you probably won’t be breaking in on the dusty roads of the Italian countryside. This also allows you to visualize what you’ll need and and are missing. Overall it helps avoid the tendency to overpack items we don’t need when we feel unprepared. 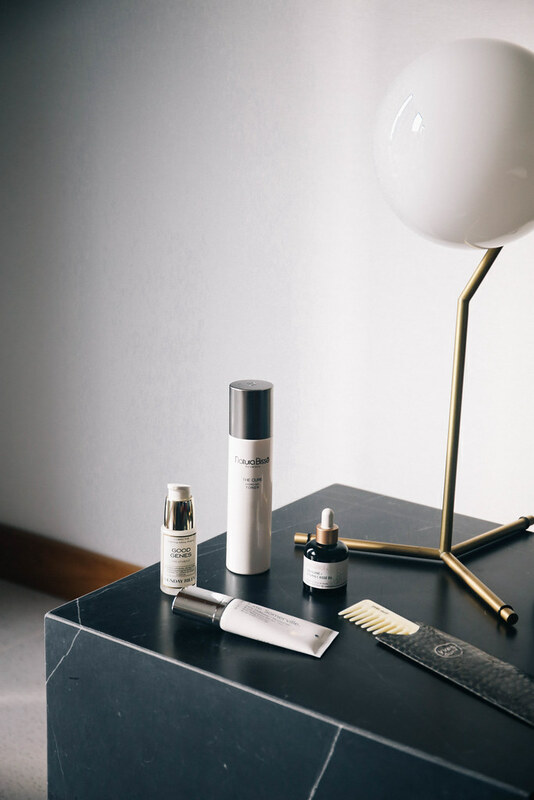 Skin care is a non-negotiable when traveling abroad, but a vacation is probably not the right time to try out three different types of serum. Since skin care, encased in their glass jars tend to be the heaviest items (and first thing to re-weigh on the scale) while checking-in, avoid chucking out a beloved, expensive night cream by packing travel-sized jars and avoiding multiples of each item. My core five six: are cleanser, serum, toner, cream, sunscreen and face oil. 4. Last but not least, roll your garments. Rolling your clothes affords you more space, and reduces needing to steam your clothes later. I helped a girlfriend squeeze three-bags of clothes into an already packed carry-on by flat packing and rolling every all of her garments into a ball.